Shane Shirley : What Does Standby Mode Really Mean to Your Wallet, Saving Energy and The Planet? What Does Standby Mode Really Mean to Your Wallet, Saving Energy and The Planet? Standby Mode: It Affects More Than You Think! We have all been told time and time again that leaving electrical items on standby is a fast way to pointlessly drain energy resources right? But do you know that because of the carbon emissions that come from creating the extra energy, using standby mode could not only be draining your wallet but is also contributing to global climate change as well? “Standby” refers to the mode of an electrical appliance that is neither switched off nor in full on-mode. However this mode is often described in several different ways. For example, "idle", "energy saving", "doze", "sleep", "delay start" or "suspended". This means that while the products aren’t “on”, they are still using electricity to maintain some level of power. For some devices that we use, standby mode is necessary for proper functioning. For example, any sort of digital television box that records shows doesn’t work if it were to be fully switched off. However, there are many electrical appliances that can be turned off completely with no negative effect like a CD player, or the television itself. But Can Standby Mode Really Save Energy? Turning electrical appliances off standby mode may seem like it wouldn’t make all that much of a difference, but a recent survey done by Energy Saving Trust shows it really does! The survey revealed that standby power could actually account for 9-16 per cent of a household’s power bill. The Green Deal Hub can help you decipher the best way to handle your electrical appliances standby mode. 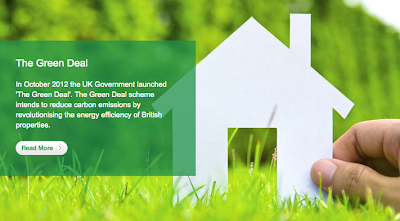 The Green Deal Hub helps consumers save energy and reduce carbon emissions by providing assessments of UK properties by trained Green Deal Advisers. The Hub helps property owners identify measures they can take to improve their home’s energy efficiency and save them money. +The Green Deal Hub has set a goal to help reduce the United Kingdom’s carbon emissions by 80% by the year 2050 and they are calling on all consumers to help them reach their goal. 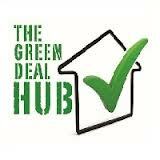 The Green Deal Hub believes in acknowledging all of the little things that we can do to help the environment and they want to help you help the UK and the world. With the Green Deal Hub launch drawing ever closer on January 28th of 2013, they are urging you to get your “energy-saving thinking caps” on to get ready for the challenge to reduce emissions by 2050! Don’t forget that all Green Deal work that you want to have done to your home, can be financed through the Green Deal Loan, and can be paid for the through an additional charge onto your monthly energy bills. The important thing to remember is the Green Deal “golden rule” - the charge for Green Deal work will never be allowed to exceed the money you save on energy bills.